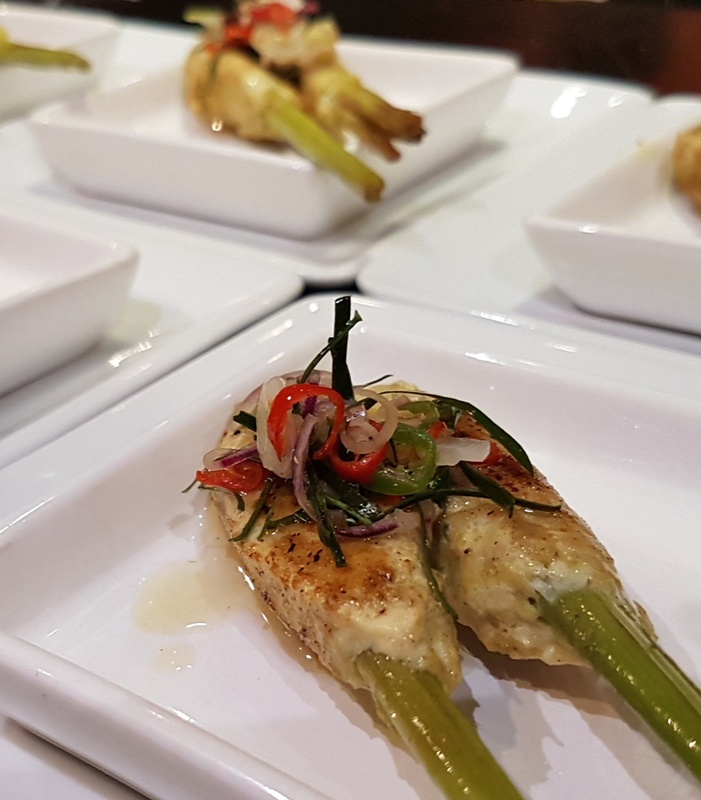 Sofitel held a lovely dinner just this week featuring Indonesian food featuring Chef Pradipta Bayu Primaputra of Pullman, flown in all the way from Jakarta. Our featured Chef, Pullman Jakarta’s Indonesian master Chef, Pradipta Bayu Primaputra. He grew up in vibrant Jakarta where his interest, deep appreciation and passion for Indonesian cuisine were cultivated. He pursued his love for food with experience enriched by attachments with Ritz Carlton Doha and the capital’s most prestigious catering company and provider of choice for culinary requirements for dignitaries and state visitors, Culture Royale. For this week-long food festival featuring Indonesian dishes, he will introduce heritage recipes rooted from Javanese, Sumatra, Sulawesi and Balinese cuisine. In person, Chef Bayu is a lovely fellow: soft-spoken, humble … But his cooking is the total opposite: dynamic, fiery, alive! 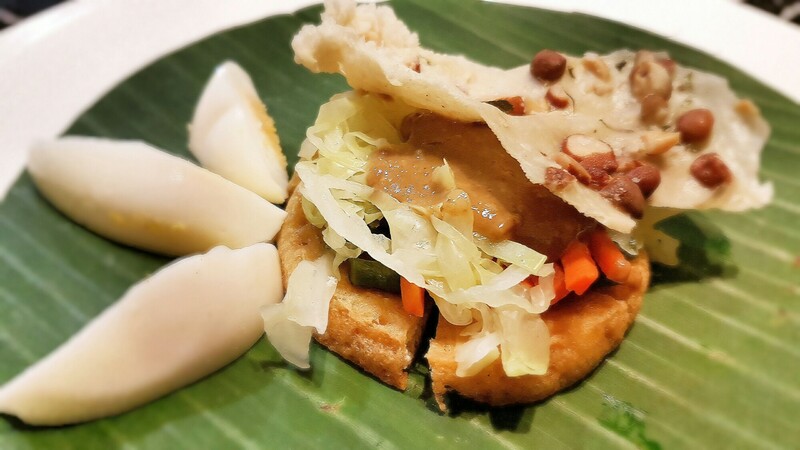 Dinner started with this earthy appetizer: Gado gado. It is really is just boiled vegetables … but that cracker! With the Indonesian peanuts and the kaffir … that is one beautiful cracker. Chef Bayu shared that this is a popular dish in Jakarta – you can find it on the street, you can find it in a five star hotel. Next we had the Balinese version of satay: Sate Lilit. Sate is usually done with chicken but this one used prawns, as sate lilit is usually made with seafood. But what i loved on this one was the sambal paste that crowned it. It made those simple appetizer sticks come alive! For the main course, we simply had chicken. But there is nothing simple about making this chicken. First of all, it is cooked like it was “inasal” but more complicated is the sauces that come with, using both a red chili paste and a white chili paste – both made by the chef from scratch! Finally, dessert. This looks just like our minatamis na saging. And the chef did use just local bananas. But what made it Indonesian is the milk that was first simmered. Pour this on those bananas and you are immediately transported to Indonesia! This series of dinners is for their campaign called Flavors of the World wherein they feature a foreign chef every number of months. But what is special is that the guest chefs do a “chef’s table” and you get to watch them while they cook. Or you can even book a cooking lesson, especially if you are a big group! If you want your own private dinner or cooking lessons, just call Sofitel and they will arrange and customize it for you. 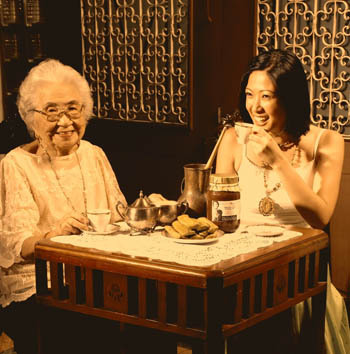 Some requirements: minimum is for 10 people, 3 days notice, P4,200 nett per person including 5 courses, coffee or tea plus the bespoke welcome drink, and if you want wine-pairing, just add P1,500 more. You have until Sunday to catch Chef Bayu at Sofitel’s Spiral. Head on over! It’s worth the traffic!